When people think about artificial intelligence, they often picture things like ‘Skynet’ from terminator, or on a friendlier note, the AI powered customer service chat bots that are becoming quite popular. What many people don’t realize, however, is that artificial intelligence and other deep learning technologies are already being used in many industries. For example, cloud storage company, BOX, is using the Vision technology from Google to help analyze images and other documents to learn more about them. This technology can look at a picture, and pick out thousands of different objects or characteristics to help make the picture more valuable. In the past, when someone would upload a picture to a website, they would need to ‘tag’ it with things like the name of the person in the image, what type of car it was showing, colors, and much more. This was a huge limitation since nobody was going to sit there and tag each image with dozens, or even hundreds of keywords. What Good is This Technology? Using the AI technologies, every picture can be properly analyzed to understand exactly what is in it, which can help improve search results and other things online. That’s great, and something that will provide practical benefits to those who use search engines, but what else can advanced technologies like this be used for? Medical Scanning – Having an AI powered computer analyze MRIs and other medical images for abnormalities or to identify potential treatment options. Simulations – With these modern technologies, it will be possible to run more realistic simulations for things like engineering, science, medicine, and much more. Human Interaction – Allowing computers to more effectively communicate with humans. Much More – The list of things that AI will be able to help with in the future is nearly endless, and it is growing every day. Having AI perform tasks like this can help to improve the quality of the Internet and other things quite dramatically. What it also does, however, is increase the amount of data that is needed for every image. Not only will each image that is scanned using this type of technology have far more tags that need to be stored, but it will also require powerful cloud based computers to run the AI in the first place. 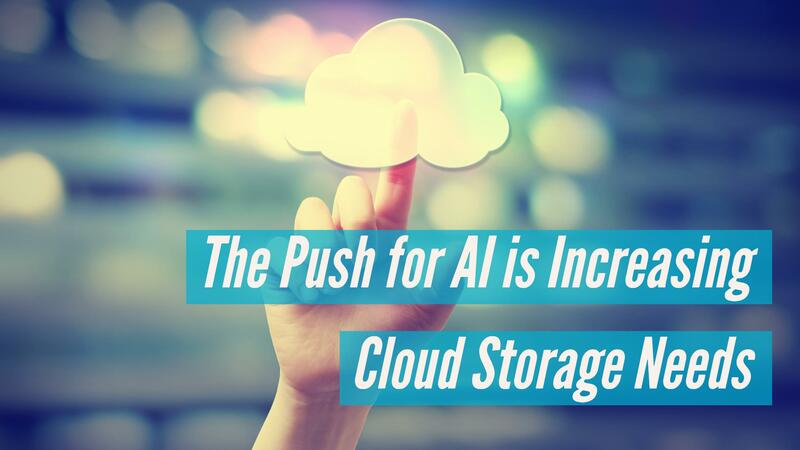 The demand for cloud storage and cloud processing is growing at a very rapid rate because of the AI and deep learning technologies that are being used for more and more things. The image scanning is just one example of where individuals and businesses are harnessing the power of the cloud to complete complex tasks. As more and more uses for this technology present themselves, and the technology continues to improve, it is certain that cloud data centers will continue to be in demand for the services that they provide. As impressive as this technology is, we’re really just at the beginning of what it will be able to do. As we continue to get closer to the quantum computing technologies becoming a reality for the industry, we will see some truly incredible things become possible. The ultra-high-speed computing that will be coming will open new doors that most people can’t currently even imagine. What impact this will have on cloud computing, datacenter requirements, will be something everyone will need to watch closely. As more and more uses for AI presents itself, it is certain that cloud data centers will continue to be in demand for the services that they provide.